Who knows daddy best? 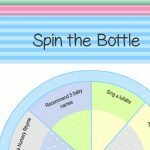 is a free printable baby shower game that you can play on co-ed baby showers. I have made this game in 5 different colors and designs. You can pick and print the one that matches the theme of your baby shower party. 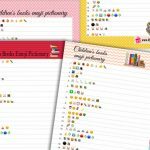 I have made these games in PNG format, so simply click on any thumbnail image of the who knows daddy best game and a bigger image will open up. You can right click and save that image. Pick and choose a design and then print these cards according to the number of your baby shower party guests. Ask the dad answers of all the questions one day before the baby shower party. Distribute the cards among the guests along with a pen or pencil. Ask them to answer all the questions about dad to be. The person with most correct answers will be the winner. Here is a free printable for this game in red color. I have made a cute lion on it. There are 15 dad to be related questions on this printable. You can scale this image through your printer’s settings. This is a gender neutral printable and you can use this on both girl or boy baby shower parties. 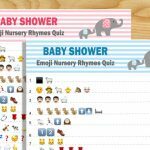 Here are three free printables for this who knows daddy best baby shower game. I have made this in blue color for boy baby shower, in green for a gender neutral baby shower and in pink color for girl baby shower party. Just click on the thumbnail image of your choice and then right click and save the bigger image. 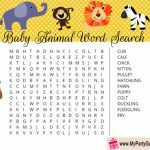 I am sure that your baby shower party guests would love to play this game. 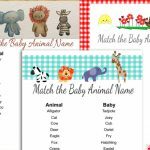 This is the last free printable of this free printable baby shower game. This game card is made on a vintage paper. Please do not forget to leave your comments and suggestions below. All my games are free for personal use.